Vietnam is grappling to deal with 15.7 million tons of coal ash a year. Vietnam is in need of urgent measures to treat a large amount of waste from thermal power plants, which have become the the major source of the country’s electricity, experts say. According to the Ministry of Industry and Trade, the country has about 20 coal-fired power plants, discharging 15.7 million tons of coal ash each year. By 2022 the country will raise the number to 43 plants and more than 29 million tons of ash will be discharged, as a result. The huge amount of coal ash is now mainly buried around thermal power plants or transported to landfills, posing threats to the environment and causing respiratory diseases for local residents. The problem may not go away anytime soon as Vietnam still relies on coal power as the main source of electricity. “Coal thermal power plant has the lowest investment cost but its production capacity can triple that of a wind power plant and quadruple a solar plant's,” Hien said. Last year, coal-fired plants accounted for 30.4 percent of Vietnam’s total electricity. The figure is expected to reach 53 percent by 2030, equivalent to 300 billion kWh. The industry ministry estimated that Vietnam will need about 129 million tons of coal a year to meet its rising demand of energy, which will leave the country with at least 32 million tons of coal ash. The waste can be used as raw materials for other industries rather than being viewed as toxic waste, according to Truong Duy Nghia, head of the Vietnam Thermal Science and Technology Association. He said that coal ash can be used to produce cement and adobe bricks, which is the most efficient way to mitigate environmental impacts of coal-fired power plants. This method, though already adopted by some companies, is facing barriers as no specific mechanism for the reproduction of coal ash has been introduced. 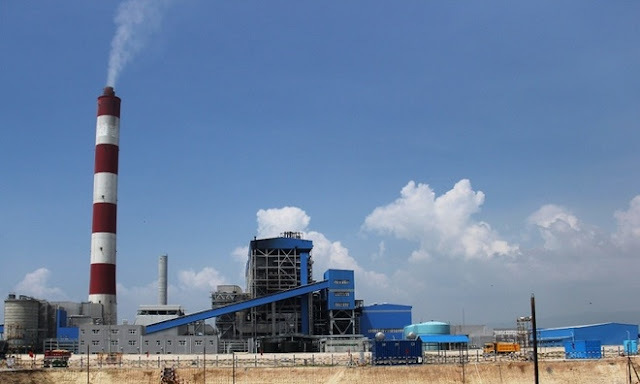 Nguyen Van Thanh from Vung Ang thermal power plant in the central province of Ha Tinh proposed the government introduce a mechanism and allow cement companies to buy coal ash for production again so that his plant can reduce the amount of this waste material. His plant had been selling the waste to cement producers but recently stopped doing so, after learning that such a practice is still pending official approval from the government. "If the problem prolongs, we may have to close the plant,” Thanh said.